Winter’s here, bringing freezing temperatures with it. 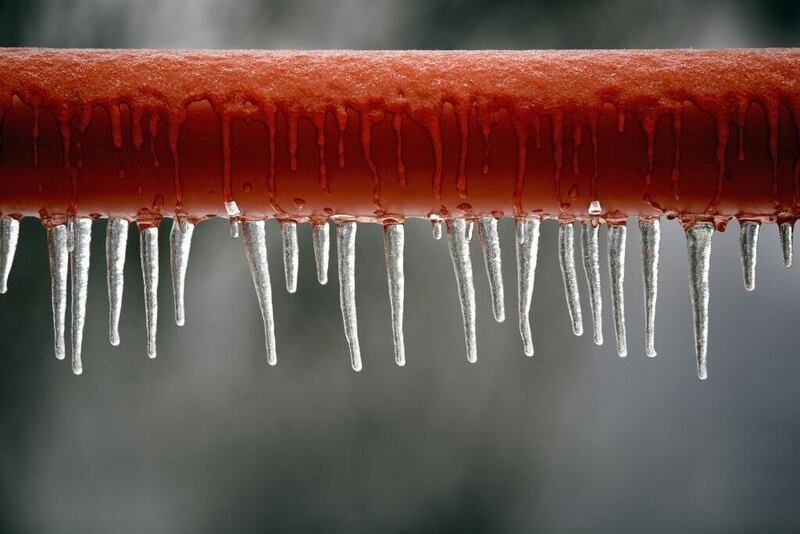 And unfortunately, cold weather can cause a homeowner’s nightmare: frozen pipes. Here’s what happens: When temperatures drop, trapped water in pipes can freeze. Since water expands when it freezes, it can cause the pipes to rupture. And when the pipes thaw, that’s when homeowners might come home to a flooded house. If your pipes are ill prepared when icy weather hits, you may wind up paying a lot to fix the damage. According to the Insurance Industry Institute, water damage and freezing is the second most common home insurance claim filed, with the average claim totaling $8,861. In fact, frozen pipes are a significant contributor to the more than $10 billion in annual insurance claims paid out due to plumbing leaks. Water damage from frozen pipes not only destroys property, but also can uproot families from their homes and cost them for years to come in higher insurance premiums. Turn up the heat. Whether home or not, keep thermostats in the 55-60-degree range, or higher, to ensure pipes in basements and crawl spaces don’t freeze up. For extreme cold protection, opening sink cabinets is advised to expose pipes to additional warmth. Insulate. Pipe insulation wraps will increase resistance to freezing ambient temperatures, while insulating structure cracks and openings will help keep the environment surrounding your pipes at a safe temperature. To avoid exposure to deep freezes, a UL-listed heat tape or cable wrapped around pipes will electronically generate warmth to prevent freezing. Inspect and update. Be sure outdoor hoses are removed from spigots. Periodically replace supply hoses to washers and toilets – a primary cause of water leaks beyond frozen pipes. Let it trickle. When temperatures are especially frigid on homes with exposure, leave faucets open to a steady drip or trickle. The constant flow will help prevent freezing, but also wastes water. Turn it off. The most prudent protection when you’re away is shutting off the water supply and draining pipes. Even a small two drips-per-second leak from a cracked pipe will produce 77 gallons in a week — enough to cause costly damage. Store it. You most likely will not need your hose or sprinklers this winter season, so drain and store your lawn and gardening supplies before the first freeze. How can you tell if you have frozen pipes? Frost. If you can actually see that frost has accumulated on the exterior of the pipe, it’s a clue that the pipe may be frozen. Nothing comes out. If you turn on a faucet and only get a trickle or no water at all, the pipe may be frozen. Temperature. When you know the temperature outdoors is going to fall below 32°F, it’s time to take precautions to protect vulnerable pipes. Odd smells. If you smell a strange odor coming from a drain, it may signal that the pipe is partially or completely blocked. What should you do if you suspect you have a frozen pipe? Once aware that a pipe may be frozen, the best course of action is to act quickly to thaw it out before it bursts and causes extensive damage to your home. The American Red Cross offers some DIY tips for thawing frozen pipes, but if you feel uncomfortable tackling the job yourself, a licensed professional plumber can assess the risk and handle the task for you. Whether you have a frozen pipe emergency on your hands or just need a regular repair, a trusted plumber is a valuable asset. 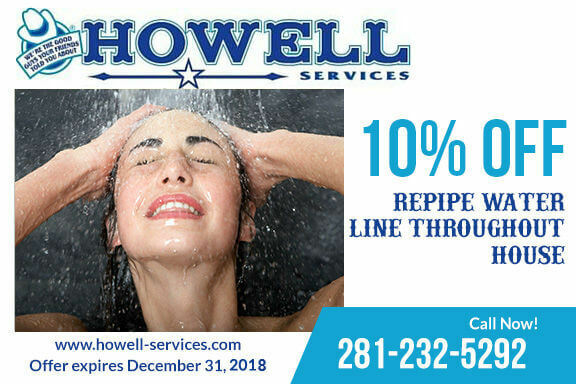 Howell Services, serving the Fort Bend area, understands the importance of providing quality, trusted plumbing service. We are fully licensed, insured and bonded, and offer competitive pricing and a 100% Satisfaction Guarantee. Call today to schedule your repair service or a comprehensive plumbing inspection.